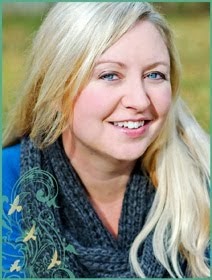 Kristin Creative: 2012 Multi-Cultural YA Book Challenge!! One Page at a Time and Truly Bookish have put together a ROCKIN book challenge for next year! These awesome ladies are highlighting YA books written by multi-cultural/ethnic minorities OR featuring multi-cultural/ethnic minorities as main characters. The goal is to read 12 minority YA books for the year, newly published or not. And every month, they'll feature a book or author that meets the criteria and do a book giveaway for the challenge participants! Seriously, this is a super awesome book challenge, and I encourage everyone to click the pretty button below to learn more about it and to sign up. I had fun working on a shiny new button too! Isn't it cute?! Don't you want to put it on your blog? Look, that's nearly the challenge right there! Also, the books you chose? AMAZING! (Well...except for Wildefire, IMHO...haha) And I can't believe you haven't read the Perfect Chemistry series yet. Whatttt????? It will blow your mind, especially since you love a good contemp. This is SO my kind o' challenge! Thanks for telling me about this, Kristin! !